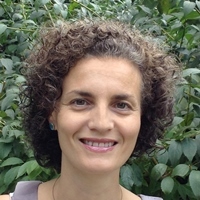 Myriam Siftar, President and CEO of MTM LInguaSoft, will present a talk tiled "Technical Communicators and Translators: Let's speak the same language!" PHILADELPHIA - March 30, 2016 - PRLog -- Myriam Siftar will present a talk titled "Technical Communicators and Translators: Let's speak the same language!" at the Conduit 2016 Mid-Atlantic TechComm Conference on April 1, 2016, Because today's globalized world requires more and more technical materials to be localized in foreign languages, technical communicators can prepare materials for translation through authoring tools, style guides, terminology management, and careful use of icons and images. Advance preparation saves time and money during the localization process. Examples drawn from multiple language pairs and industry sectors will be discussed. MTM LinguaSoft is a full-service language services partner based in Philadelphia, Pennsylvania providing language and cross-cultural services to support international business growth and strategy. The company is recognized as a specialist in the translation and globalization of websites, software and online applications, such as e-learning modules. As an enabler of global communication, the company also provides foreign-language voice-overs for audio and video productions. MTM LinguaSoft's clients include healthcare, pharmaceutical, IT, and manufacturing businesses as well as economic development agencies and higher education institutions. The team at MTM LinguaSoft is driven by a commitment to the client's requirements and attention to customer care. For more information about MTM LinguaSoft, go to www.mtmlinguasoft.com or contact Myriam Siftar at 215-729-6765.